You woke up feeling itchy on the underside of your hand. It took a couple of minutes to discover random tiny red rashes that are itchy rather than painful. Well, is that what dust mite bites symptoms are all about? Let’s get this right from the start. While it can be true that you have been sleeping with an army of dust mites, the rashes on your hand are not symptoms of dust mite bites. Whatever they may do, dust mites don’t bite or feast on human flesh. Here are some quick but accurate facts about dust mites. Dust mites are tiny organisms that belong to the arachnid family. They are characterized by the exoskeleton body. A dust mite has eight legs, and a menacing head with no antennae. 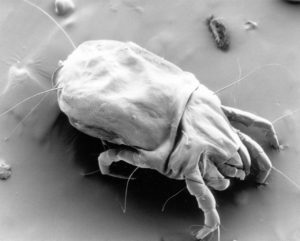 As hideous as they are, dust mites are not visible to human eyes. With an average dimension of 0.3 millimeters, you’ll need a microscope to view an actual dust mite in your home. 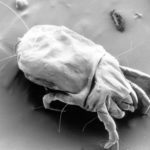 It doesn’t take much to believe that dust mites bite into human flesh and feast on it. But they don’t. Instead, dust mites depend on the millions of dead skin cells that we shed daily as a food source. Dust mites are also known to grow optimally in a humid and moderately warm environment. In other words, dust mites are common in many households around the world. And you may have guessed that the bedroom is often the most infested area in your home. That can only be the case when you spend an average of 8 hours sleeping and shedding hundreds of thousands of dead cells in the process. If dust mites are not the culprit of the bite marks, which creature did? Well, apparently another pest may be cohabiting with dust mites in your bed and the name is bed bugs. Unlike dust mites, bed bugs do bite on human flesh as they nourish itself with blood. It sounds creepy and gross but this explains the rashes you suffered after waking up from sleep. Bed bugs are much larger than dust mites and they are visible to human eyes. You can more or less confirm your suspicion by the sight of tiny oval shapes bugs in your bedroom. Depending on whether they have recently feasted, the body may look slightly inflated and is red in color. It’s hard to eliminate bed bugs just by stopping its source of nourishment. Bed bugs are extremely resilient creatures and they can last up to 40 days without feeding. To make matter worse, bed bugs don’t stay where they are and are constantly on the move. It’s hard to spot bed bugs in during the day as they could be hiding between cracks and openings of furniture, clothing, mattress, and other well-hidden spots. At night, they move at high-speed to their targets. It only takes up to 10 minutes to finish feasting on your blood, and that often happened when you’re asleep. Generally, bed bugs bites do not cause major complications. The rashes and itchiness will go away by its own after a couple of weeks. But if you’re hypersensitive to bed bugs bites, you’ll want to get the blisters tended to. The first thing that you should do is to wash the rashes with soap and water. To treat bed bugs bites, you can apply hydrocortisone or anti-itch creams, which can be purchased at local pharmacies. 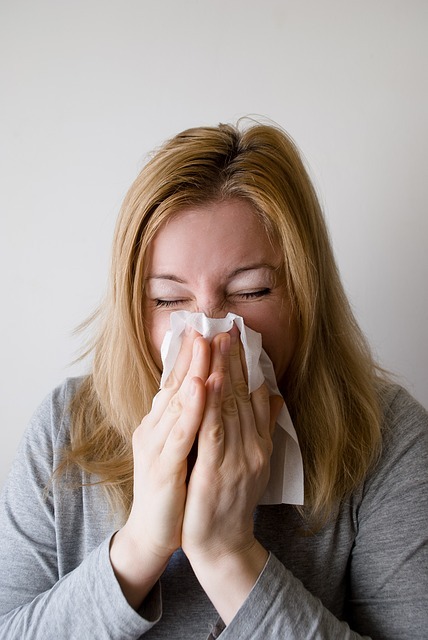 To address the allergic reactions, anti-histamine is often used. 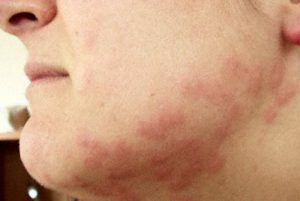 But if you find that the rashes get worse after a couple of weeks, you’ll want to consult a doctor. Whether it is the bed bugs that bite or the unseen dust mites, you’ll want to keep them away from your bedroom. Living with such pests is a pain when you’re sensitive and exhibit severe allergic reactions. 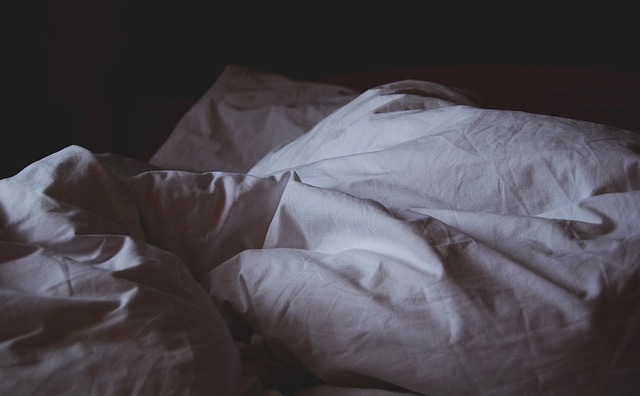 It is realistically impossible to ensure all the dust mites and bed bugs are eliminated, but there are certain methods to greatly reduce their population in your bedroom. Here are what you should start doing now if you’re getting bed bugs bites at home. The mattress protector, pillow covers can host a number of tiny pests. You’ll want to ensure the beddings are cleaned frequently, possibly once a week. 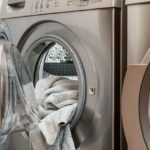 If possible, you’ll want to turn up the heat of the dryer to up to 50 degrees Celcius to kill the bed bugs. A powerful vacuum will help to remove bed bugs and their eggs from carpets, upholsteries, and mattress. Heat is the bane of bed bugs and you can use a portable steam cleaner to give your beddings a thorough cleaning. Bed bugs can also hide in movable items like a rack or luggage, and a steam cleaner is the best arsenal to eliminate them. Try to be a minimalist instead of packing your bedroom with furniture and upholsteries. Even a hanging poster could be a safe spot for bed bugs to grow. When you remove unnecessary items from your bedroom, you’re reducing the risk of getting bed bugs bites. If Dust Mites Don’t Bite, Are They Harmless? The good news is, dust mites don’t bite. The bad news? Dust mites aren’t completely harmless. Instead, they cause relatively more severe symptoms to people who are allergic to dust mites. If you found yourself in a fit of sneezing, coughing, and irritated eyes, you’re suffering from dust mites allergy and you’ll want to do something about it. Have you ever got bitten by bed bugs, thinking they are dust mites? What did you do to treat bed bugs bites? Share your tips in the comment below.